Bethesda has a plan to update the game on a regular basis with patch notes to address the game issues. They have also provided the details on the upcoming updates of the game that are coming before the end of the year. The first patch is coming tomorrow, November 19. This patch mostly focuses on game performance and stability on all platforms, and include plenty of fixes to quests. The most popular request by PC gamers are not included in this update that are Ultrawide screens and FOV Slider support, but will be coming in the upcoming updates in the coming weeks. "So first and foremost, we have our first patch coming Monday, November 19 – and while this update has many performance fixes and optimizations in it, we know some of your biggest requests, including an increased Stash Limit and several PC Quality of Life adjustments, are not included in this update. These features are coming in the next several weeks. ", Bethesda wrote in a post. November 19 Patch - The next update will focus primarily on game performance and stability on all platformsbut will also come with a list of fixes to quests, UI, C.A.M.P.s, and more. Patch notes will be available early next week. This update will be large compared to what we expect for patches going forward. Regular updates will always vary in size, but future updates should be much smaller in comparison. "We teased in our launch letter some of what’s to come next. In addition to constantly making fixes and changes, there will be new content and game systems that add to the life and experiences in Appalachia. We’ll see new Vaults opening, new ways to easily improve your C.A.M.P.s, ways to create, team-up, and faction-based PvP, and many more free add-ons we haven’t talked about yet. In addition, you will see articles each week that highlight new events, content, and features we’re excited to share. We look forward to growing Fallout 76 with you." 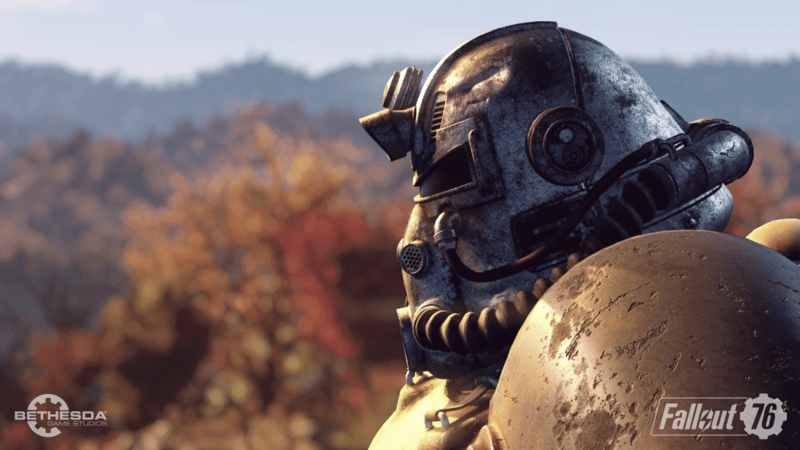 Fallout 76 is available on Xbox One, PlayStation 4, PC.